The Shadow Intruder is made for and in conjunction with the Special Forces. 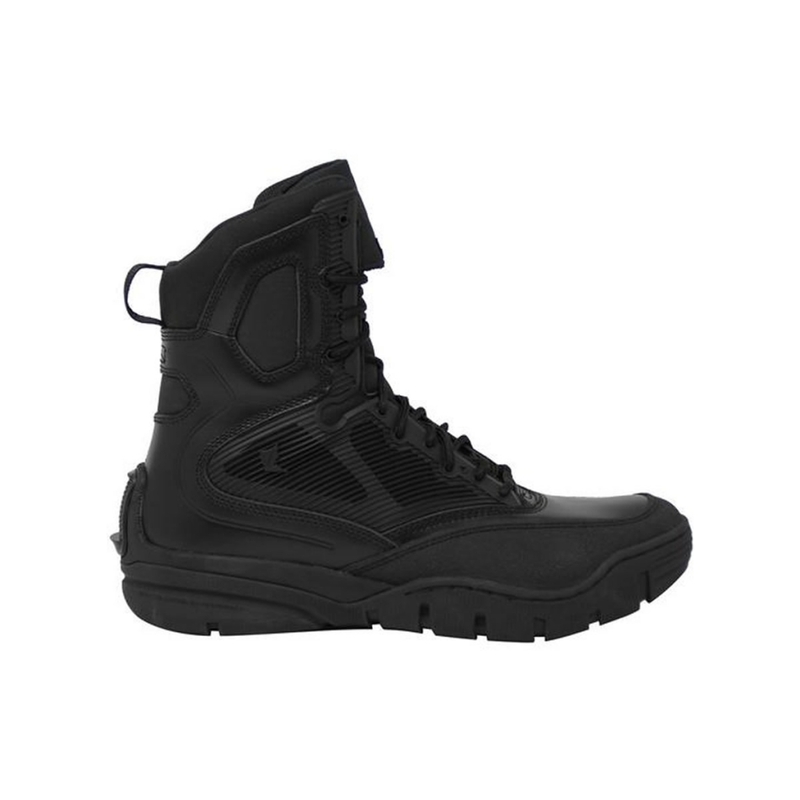 Features a patented bi-fit board and rubber outsole for an efficient "stealth approach" when transferring energy from foot strike to toe- off, compression molded dual EVA midsole, compression molded EVA insole, slip resistant, light-weight rubber outsole, articulating heel and outsole shape for assisting in noise reduction, abrasion resistant carbonized rubber toe cap, Microfiber H2O shedding genuine leather upper with breathable membrane, moisture-wicking, H2O shedding antimicrobial upper lining, rip-stop nylon accents, engineered Achilles flex notch, gusseted tongue construction with invisible lace pocket, seamless, lightweight quarter protection construction. This boot does not have a zipper.